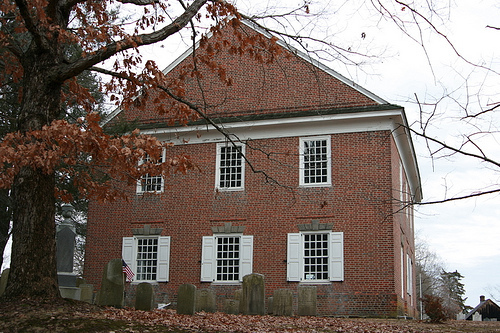 Just south across the road from our current meeting place, we maintain the Old Pittsgrove Presbyterian Church, one of South Jersey's most significant restored colonial church buildings. 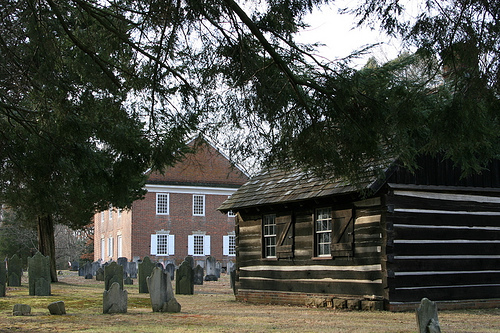 The first Presbyterian church in Salem County, the "Piles Grove" Congregation was officially organized in 1741 when the Rev. David Evans was installed as pastor by the Presbytery of Philadelphia. (It was unofficially begun in 1738 by Rev. Daniel Buckingham, a traveling missionary. 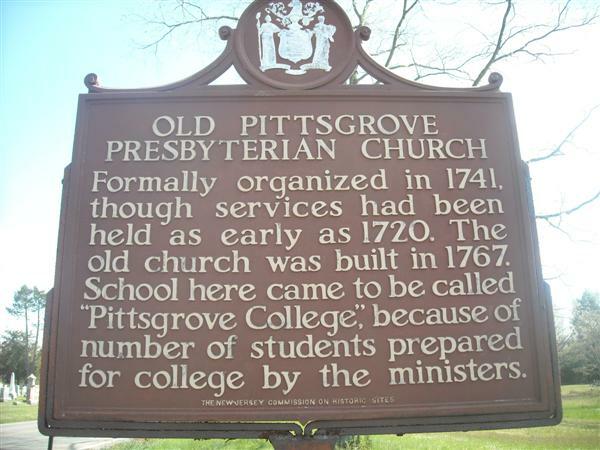 In 1770, the congregation was renamed "Pitts Grove" in honor of the English statesman William Pitt.) 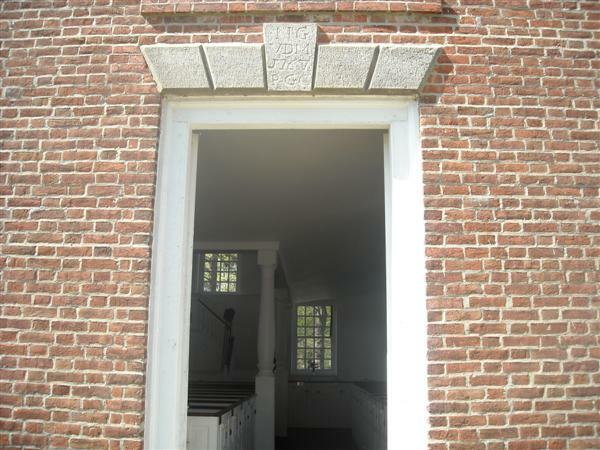 The original church building was constructed of cedar logs, built on land obtained from Louis duBois, who had emigrated from New Paltz, New York to Pittsgrove Township. The structure had two large stoves and plain wooden benches. As the congregation grew, a larger building was necessary. 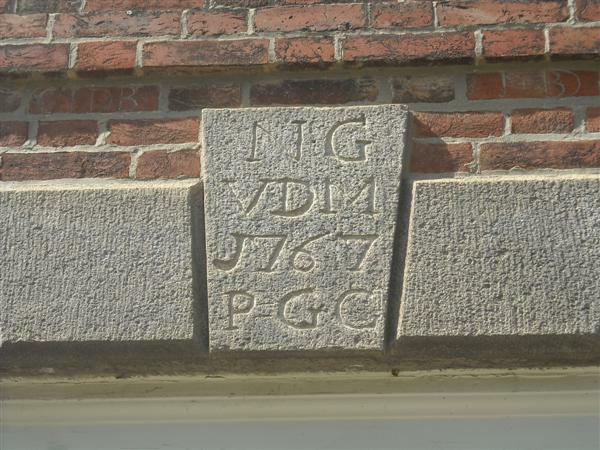 In 1767, under the pastorate of the Rev. Nehemiah Greenman, the old log structure was taken down and a new(current) brick church was built in its place. This brick building is a beautiful example of Georgian architecture. The Old Church’s graveyard is also a monument to the past. 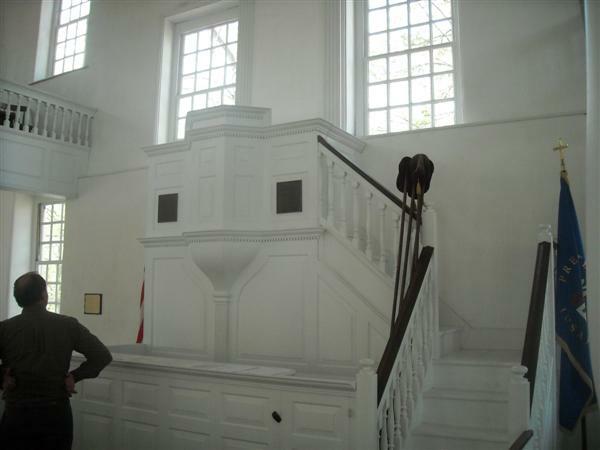 Twenty-six men who fought in the Revolutionary War are buried there. Among them are Colonel William Shute who was a lieutenant in the French and Indian War under General Samuel Hunt, New Jersey Provincial Troops, as well as a colonel in the Revolution. Shute served at the battle of Quinton's Bridge. Also buried there is Jacob duBois, captain of a company of minutemen organized in 1775. Also on the grounds of the Old Church is a 1972 replica of the "Log College", a building used as a school to train young men for the ministry. The immigrants who established this congregation came from Europe and were of the Dutch Reformed tradition. Their call to worship was by one of three methods – the sounding of the horn, a drum roll, or the blowing of the conch shell. When they arrived at what is now Newkirk Street in New York about 1644, they had the conch shell with them. Later they went to New Paltz and remained there until 1714 when they migrated to the place we now refer to as Daretown. This treasured relic is still used today as the Call to Worship at the occasional worship services at the Old Church. 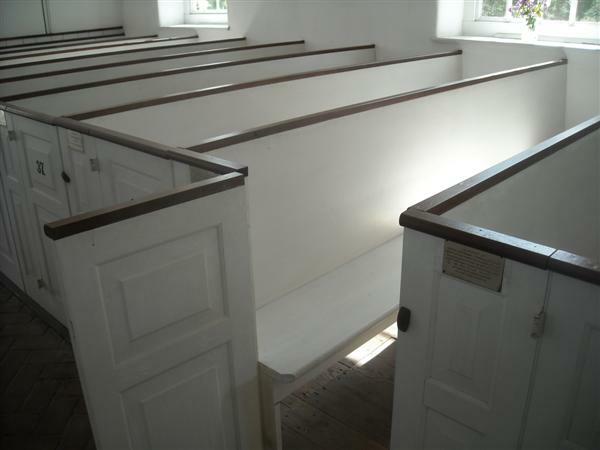 By the middle of the 19th century, the brick church was considered inadequate for the needs of a large and growing congregation. In 1861 it was decided a new church should be built just to the northeast of the current building. Construction began the following year, but its completion was delayed until after the Civil War. It was finally finished at a cost of $25,000. The Old Church building was neglected for some years, then after 1870 it was used for concerts and festivals, and even as a basketball court. It was decided in 1932 that this important building should be restored. The Old Church is listed on the National Register of Historic Places. Sources: Biographical Sketches of Eminent Men: Events in the Life and History of the Swing Family, 1889; Sarapin, Janice Kohl, Old Burial Grounds of New Jersey, Rutgers Univ. Press; Pittsgrove Presbyterian Old Church Committee; see also the Journal of the Presbyterian Historical Society, vol. III, 1905-1906, pp. 94 & 95.